The Spa-Francorchamps circuit was built in the early 1920’s using the streets of three villages (Malmedy, Stavelot and Francorchamps) to create a race track in the fabulous Ardennes region. That’s how the Spa-Francorchamps was born. Automotive, as well motorcycle, races took place on the 14 kilometre race track. Endurance racing was among the first races to be held at the Belgian circuit, with Antonio Ascari winning the first 24 Hours of Spa in 1924. A new 7 kilometre track was inaugurated in 1979. It was more technical with more turns, but also with larger gravel traps increasing the safety level of the track. It nevertheless continued to be one of the favourite circuits for the drivers as well as for the spectators. In 2006/2007 modifications were made to the track and infrastructure with the construction of brand new F1 standard pitlane and building. 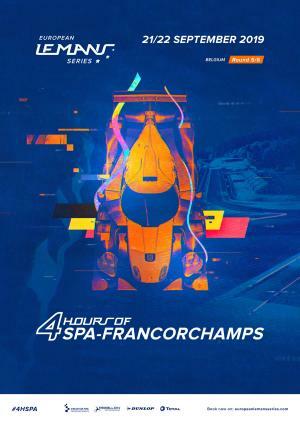 Since it was created in 2012, the World Endurance Championship has held the last race before the 24 Hours of Le Mans in Spa-Francorchamps (the WEC 6 hours of Spa-Francorchamps), which is classed as the final dress rehearsal before the world’s greatest motor sport event. The European Le Mans Series returned to Spa in September 2016 with the 4 Hours of Spa-Francorchamps. Race 22/09/2019 13:00 Duration : 240 min.